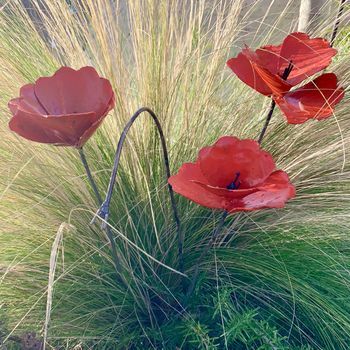 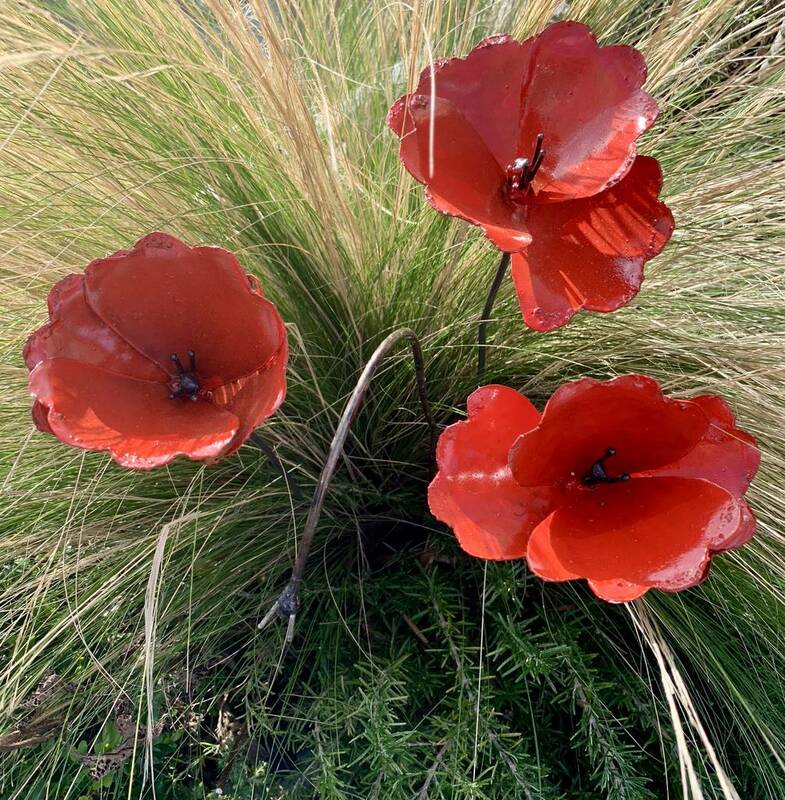 Simply beautiful set of poppy garden sculptures designed exclusively by London Garden Trading consisting of 3 poppy flower heads on stems. 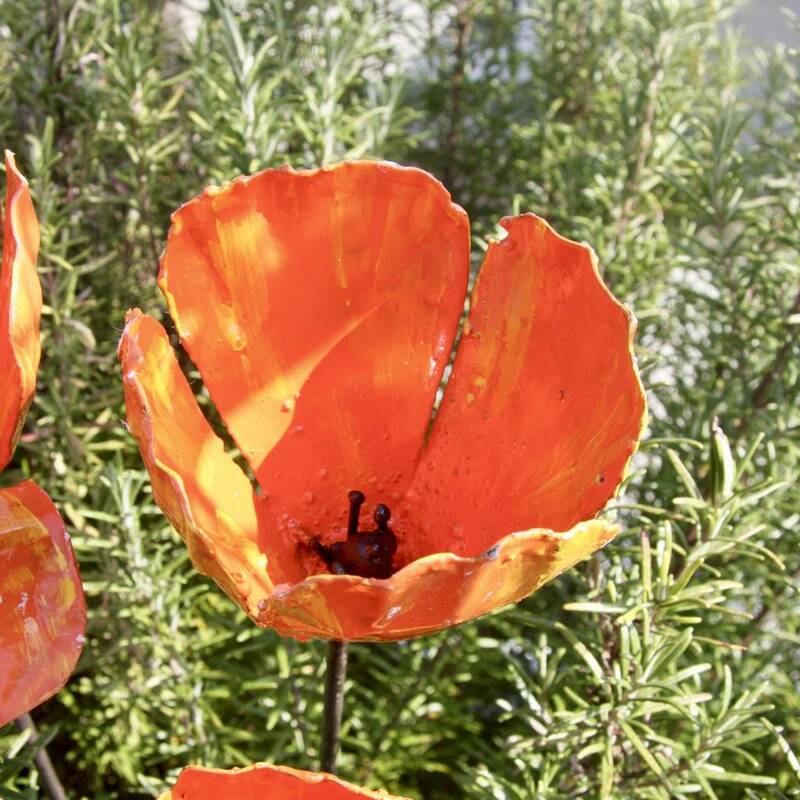 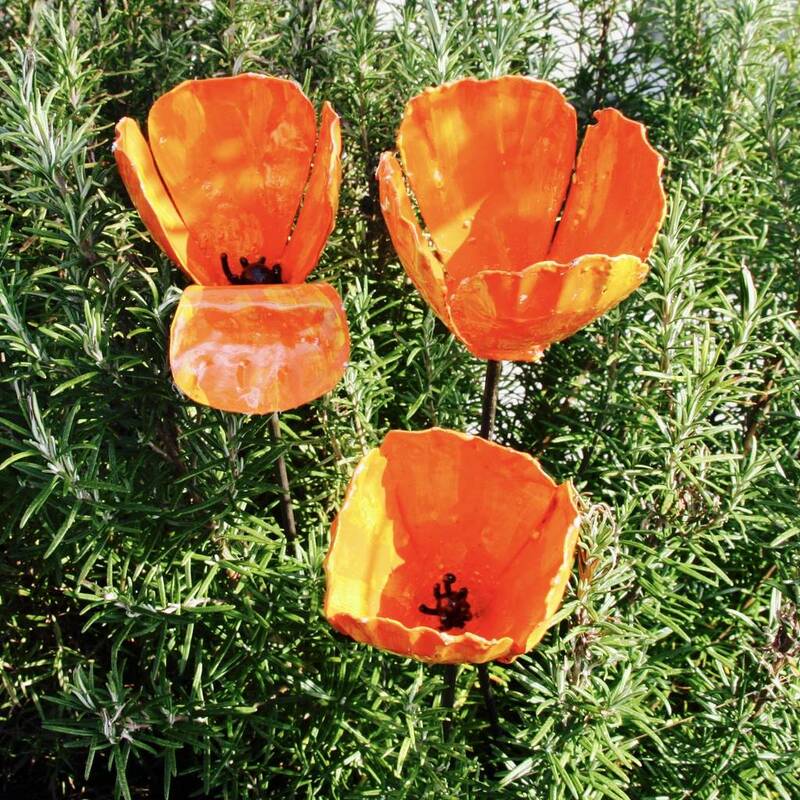 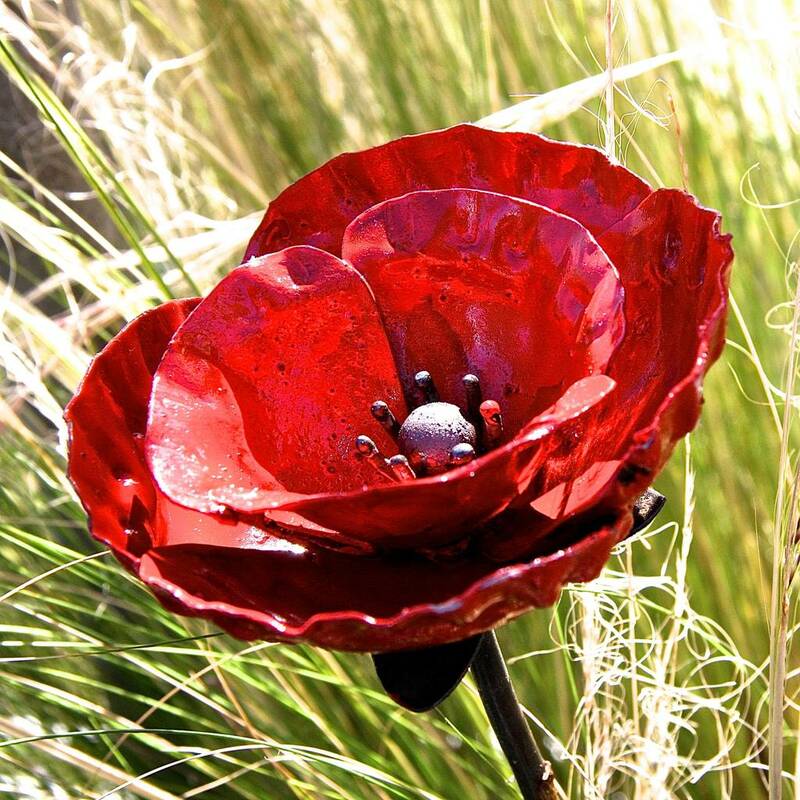 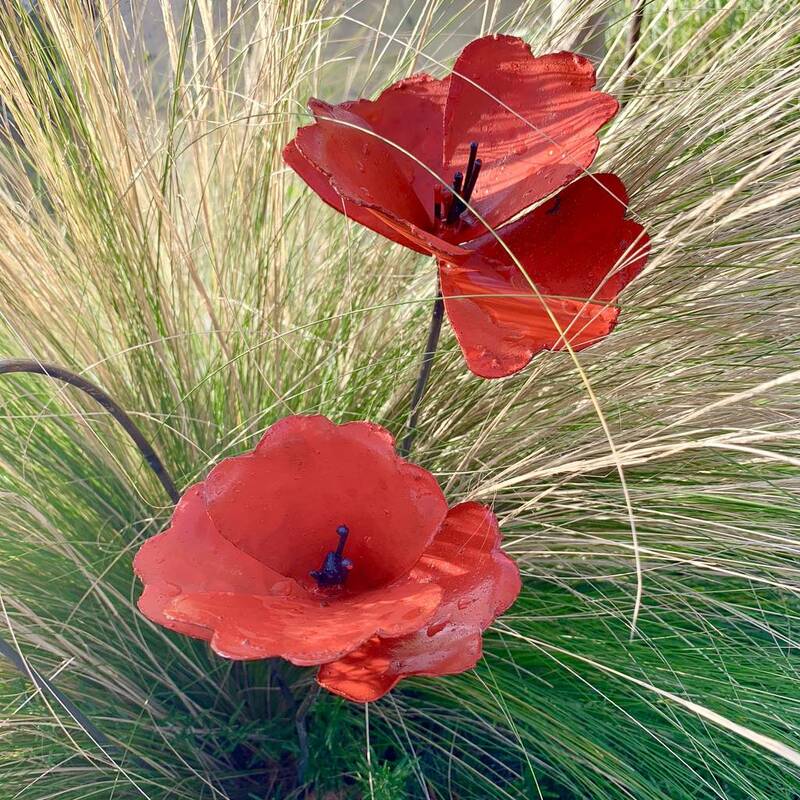 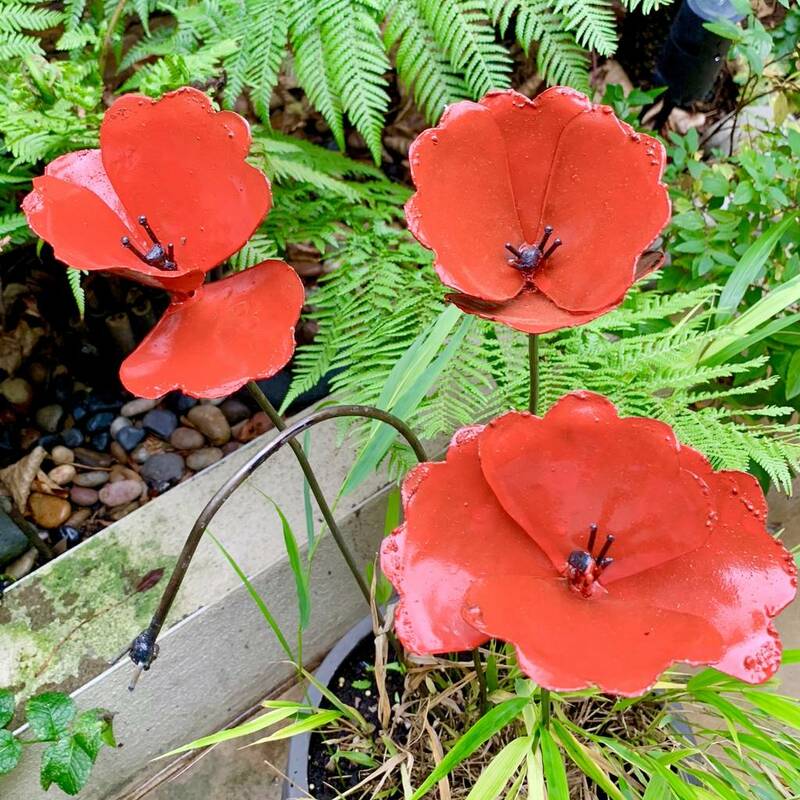 Handmade and individually hand painted using recycled metals, these gorgeous poppie garden decorations will add a pop of colour in your garden. 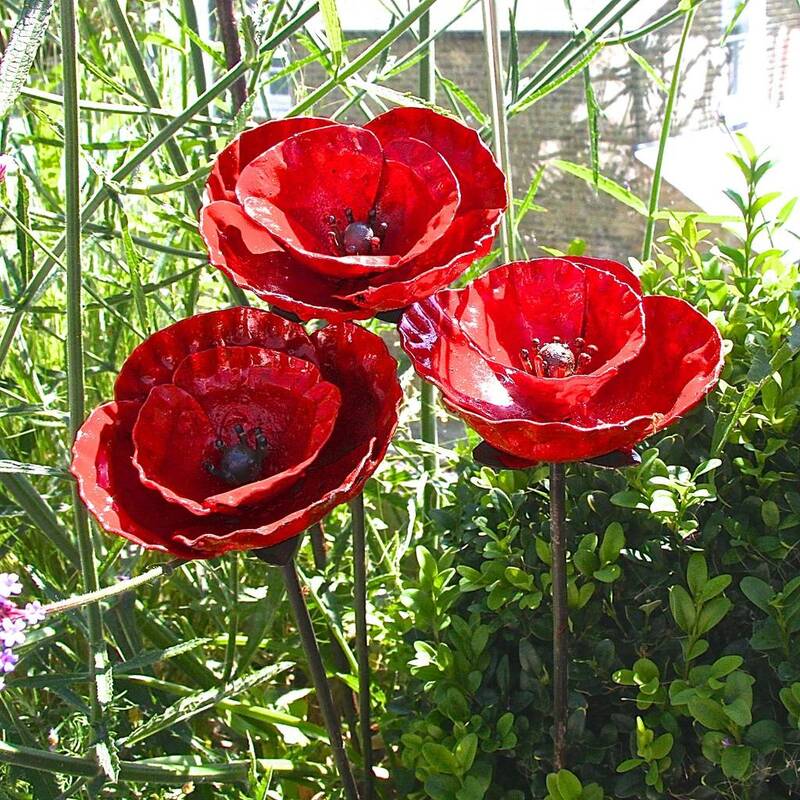 The poppies are imperfect in their beauty and we hope that our customers will appreciate that these are not machine made pieces and each piece is unique. 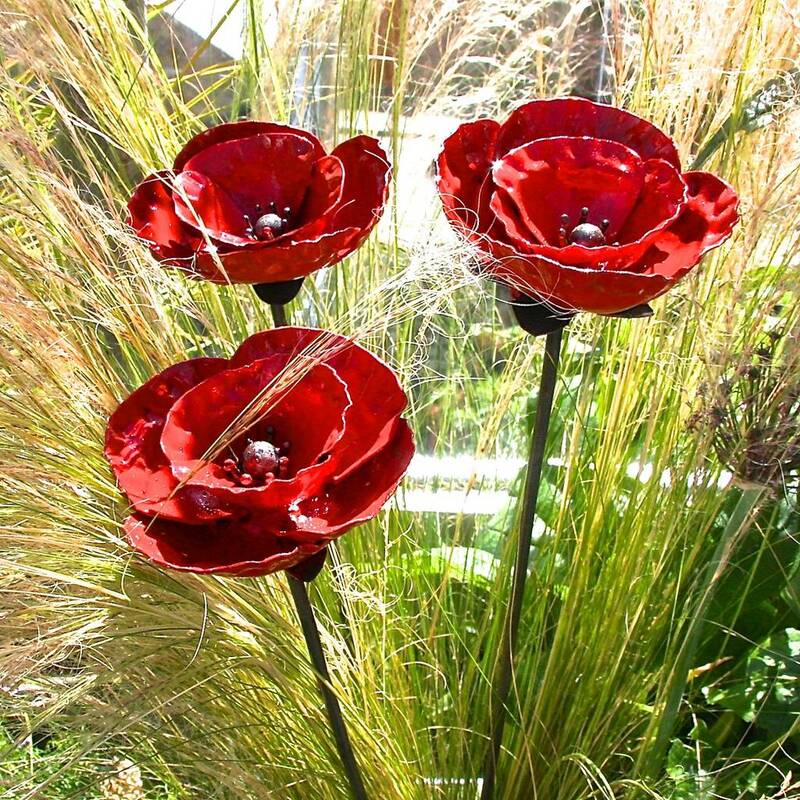 Please note that these are all handmade and all flowers, finishes and sizes will vary slightly which we love as this makes each piece unique.